Reducing early retirement and prolonging employees’ working lives are goals that feature on social policy agendas across Europe. Active ageing has become the leading social policy response. Like many European countries, Norway has adopted a twofold active-ageing strategy consisting of ‘passive’ labour market policies and ‘active’ measures aimed at retaining older workers. 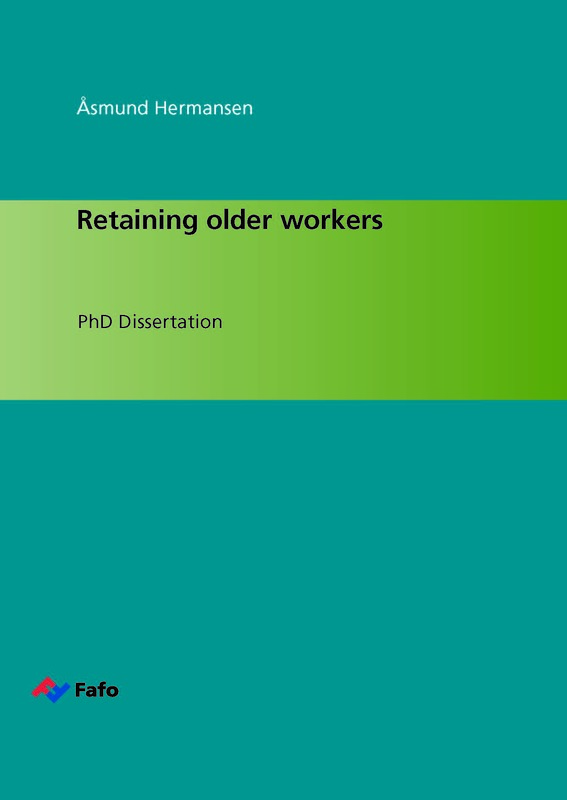 The overarching research questions addressed in this thesis are: What are the preconditions for retaining older workers and what are the effects of measures offered by employers to alter early retirement? Five papers form the foundation of this PhD thesis.